Changes in Canadians' buying habits have pushed up used-car transaction prices just like new-car prices but J.D. Power's Robert Karwel says there is still room for growth on the used side. Like their American counterparts, Canadians have embraced light trucks, sport-utilities and crossovers, abandoning their fondness for compact and subcompact sedans and hatchbacks. That has sent average transaction prices for new vehicles up sharply in the last few years, dragging used-vehicle prices up with them to record levels. It is only logical, says Karwel, JDPA Canada's senior manager for its Power Information Network (PIN). "If you sell more expensive and better-equipped cars as new cars, they'll be more expensive as used cars as well," he said in an interview with Automotive News Canada. PIN data included in a recent presentation of new- and used-vehicle sales trends for this year revealed the average 2015 new-car transaction price was $30,200, up about $900 or 3.2 per cent from the previous year and roughly matching the jump between 2013 and 2014. While used-vehicle prices have also risen since 2012, reaching about $20,100 last year, they have not kept pace with new vehicles. The average transaction price has climbed six per cent in five years, Karwel said, compared with 12 per cent for new vehicles. Rather than focus on price alone, JDPA looks at the pricing ratio of used-vehicle transactions to new ones, which Karwel said historically tends to be about 60 per cent. For the first part of this year, it's been about 58 per cent, he said. "That's why we're saying we actually think used-car pricing has room to increase," he said. Another factor that could push up prices is an increasing length of loan terms for used vehicles, enticing buyers to buy bigger with the lure of lower monthly payments. "We're hitting a point where nearly half of loans on used cars are 72 months or higher," he said. "That's an awful long time to have a loan on used cars." Trucks are responsible almost entirely for the rise in used transaction prices, the PIN data suggests, rising nine per cent between 2011 and 2015. 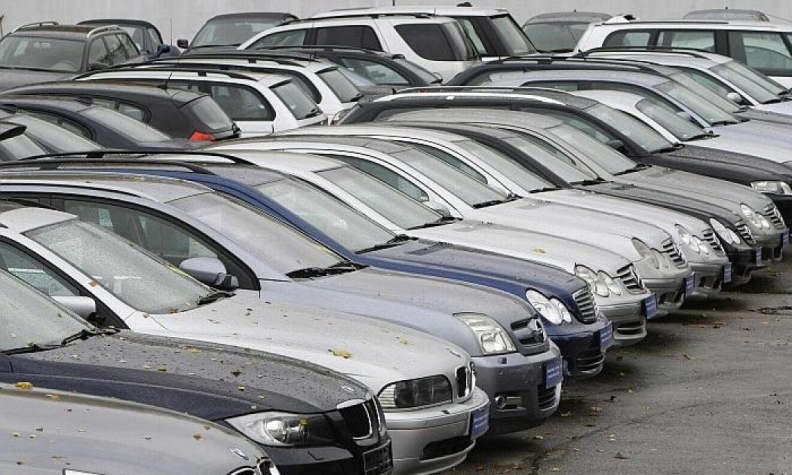 Used car prices actually dropped by five per cent in the same period. However, analyst Dennis DesRosiers said the PIN data should be treated with caution, as it reflects only used-car transactions by new-vehicle dealers. They account for only a fraction of overall used-car deals (Karwel estimated around 30 per cent) and typically involve vehicles no more than two years old. The vast percentage of used vehicles that are sold – almost 2.5 million – are not sold at new car dealerships, he said. "They're older used vehicles and the loan periods on them are quite short." Used-vehicle loan periods typically range 36 to 48 months, he said.